The Monkees were a four-man musical band created to be the stars of an American television series of the same name, which ran on NBC from 1966 to 1968. The members were: Micky Dolenz (drums, vocals), Michael Nesmith (guitar, vocals), David Jones (percussion, vocals) and Peter Tork (bass, keyboards, vocals). 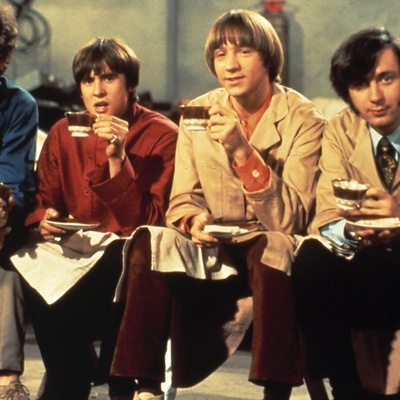 The Monkees were formed in 1965 in Los Angeles, California and disbanded in 1970. At their peak they were competing with The Beatles for the top spot on album charts.